Tonight at AWS re:Invent, the company announced a new tool called AWS Transit Gateway designed to help build a network topology inside of AWS that lets you share resources across accounts and bring together on premises and cloud resources in a single network topology. Amazon already has a popular product called Amazon Virtual Private Cloud (VPC), which helps customers build private instances of their applications. The Transit Gateway is designed to help build connections between VPCs, which, up until now, has been tricky to do. As Peter DeSantis, VP of global infrastructure and customer support at AWS speaking at an event Monday night at AWS Re:Invent explained, AWS Transit Gateway gives you a single set of controls that lets you connect to a centrally managed gateway to grow your network easily and quickly. DeSantis said that this tool also gives you the ability to traverse your AWS and on-premises networks. “A gateway is another way that we’re innovating to enable customers to have secure, easy-to-manage networking across both on premise and their AWS cloud environment,” he explained. AWS Transit Gateway lets you build connections across a network wherever the resources live in a standard kind of network topology. “Today we are giving you the ability to use the new AWS Transit Gateway to build a hub-and-spoke network topology. You can connect your existing VPCs, data centers, remote offices, and remote gateways to a managed Transit Gateway, with full control over network routing and security, even if your VPCs, Active Directories, shared services, and other resources span multiple AWS accounts,” Amazon’s Jeff Barr wrote in a blog post announcing to the new feature. For much of its existence, AWS was about getting you to the cloud and managing your cloud resources. This makes sense for a pure cloud company like AWS, but customers tend to have complex configurations with some infrastructure and software still living on premises and some in the cloud. This could help bridge the two worlds. Many AWS customers have to run in multiple zones for many reasons, including performance requirements, regulatory issues or fail-over management. Whatever the reason, AWS announced a new tool tonight called Global Accelerators designed to help customers route traffic more easily across multiple regions. Peter DeSantis, VP of global infrastructure and customer support at AWS speaking at an event Monday night at AWS Re:Invent, explained that much of AWS customer traffic already flows over their massive network, and customers are using AWS Direct Connect to help applications get consistent performance and low network variability as customers move between AWS regions. He said what has been missing is a way to use the AWS global network to optimize their applications. “Tonight I’m excited to announce AWS Global Accelerator. AWS Global Accelerator makes it easy for you to improve the performance and availability of your applications by taking advantage of the AWS global network,” he told the AWS re:Invent audience. “Your customer traffic is routed from your end users to the closest AWS edge location and from there traverses congestion-free redundant, highly available AWS global network. 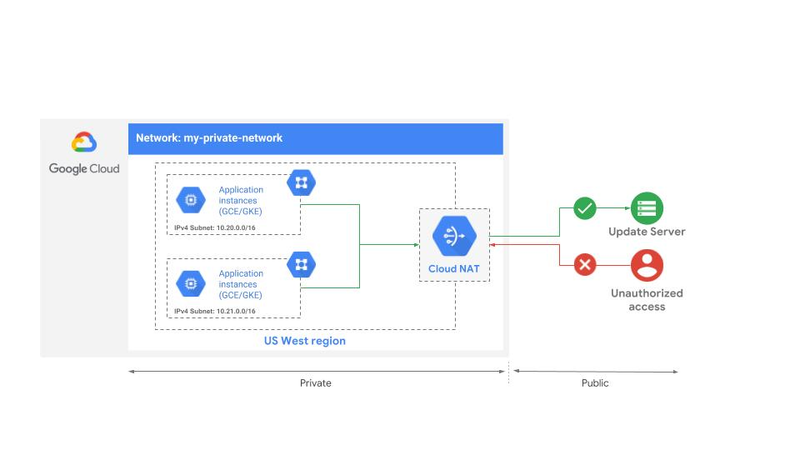 In addition to improving performance AWS Global Accelerator has built-in fault isolation, which instantly reacts to changes in the network health or your applications configuration,” DeSantis explained. In fact, network administrators can route traffic based on defined policies such as health or geographic requirements and the traffic will move to the designated zone automatically based on those policies. AWS plans to charge customers based on the number of accelerators they create. “An accelerator is the resource you create to direct traffic to optimal endpoints over the AWS global network. Customers will typically set up one accelerator for each application, but more complex applications may require more than one accelerator,” AWS’s Shaun Ray wrote in a blog post announcing the new feature. AWS Global Accelerator is available today in several regions in the U.S., Europe and Asia. Microsoft is launching a few new networking features today that will make it easier for businesses to use the company’s Azure cloud to securely connect their own offices and infrastructure using Azure and its global network. The first of these is the Azure Virtual WAN service, which allows businesses to connect their various branches to and through Azure. This basically works like an airline hub and spoke model, where Azure becomes the central hub through which all data between branches flows. The advantage of this, Microsoft argues, is that it allows admins to manage their wide-area networks from a central dashboard and, of course, that it makes it easy to bind additional Azure services and appliances to the network. And with that, users also get access to all of the security services that Azure has to offer. One new security service that Microsoft is launching today is the Azure Firewall, a new cloud-native security service that is meant to protect a business’s virtual network resources. In addition to these two new networking features, Microsoft also today announced that it is expanding to two new regions its Azure Data Box service, which is basically Microsoft’s version of the AWS Snowball appliances for moving data into the cloud by loading it onto a shippable appliance: Europe and the United Kingdom (and let’s not argue about the fact that the U.K. is still part of Europe). There is also now a “Data Box Disk” option for those who don’t need to move petabytes of data. Orders with up to five of those disks can hold up to 40 terabytes of data and are currently in preview. As is often the case with these kinds of purchases, the two companies are not strangers. In fact, July Systems lists Cisco as a partner prominently on the company website (along with AWS). Customers include an interesting variety from Intercontinental Hotels Group to the New York Yankees baseball team.